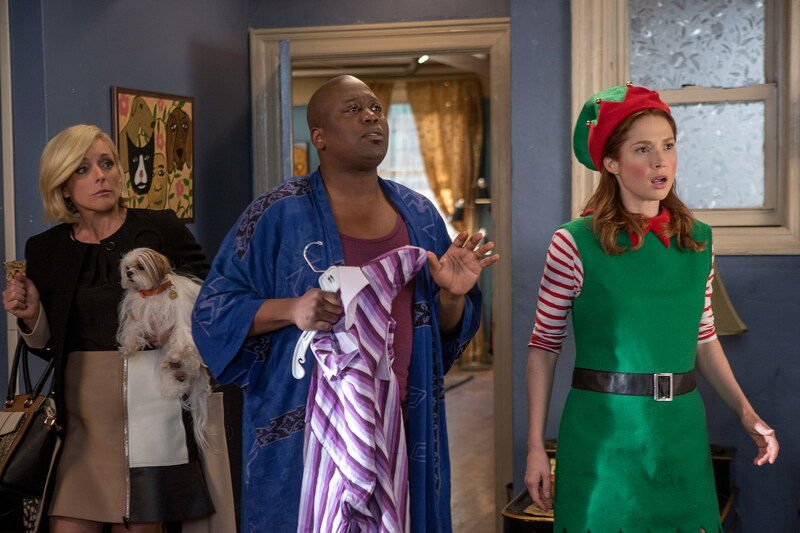 ‘Unbreakable Kimmy Schmidt’ Sets Season 2 Premiere, It’s A Miracle! There was never any doubt Ellie Kemper and Tina Fey’s Unbreakable Kimmy Schmidt would return for Season 2, but the wait feel suspiciously like being kept in an underground bunker. Thankfully, Netflix is alive, dammit, enough to give us the miracle of a Season 2 premiere date this coming April. Fey herself revealed back over the summer that the sunny series wouldn’t abandon the looming court case that dominated the first season (and gave Jon Hamm his best comedic work in years), while the second run would also take more advantage of Netflix’s relaxed standards, compared to NBC. We’ll also meet Kimmy (Kemper)’s mother at some point, though no official casting has yet been announced. We’ll likely hear more of Unbreakable Kimmy Schmidt in the coming weeks, potentially a trailer as well, so check out the first photos above and past trailer below. Source: ‘Unbreakable Kimmy Schmidt’ Sets Season 2 Premiere, It’s A Miracle!